THE OTHER ELYSIA. The ELYSIA pendants are now listed on the site, but these two are only available for through @honed.boutique. Stop by if you’re in Seattle, or get in touch with myself or Claire to purchase. More is on the way! 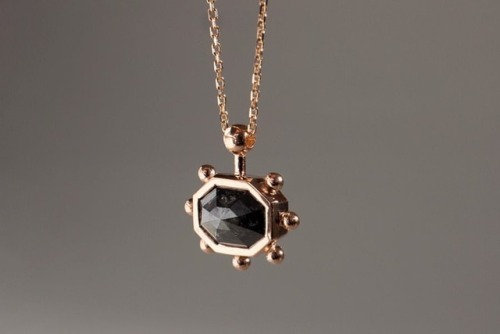 1.55ct Hexagonal Grey Diamond in 18K Rose Gold, strung on a delicate 14K Rose Gold diamond-cut cable chain.